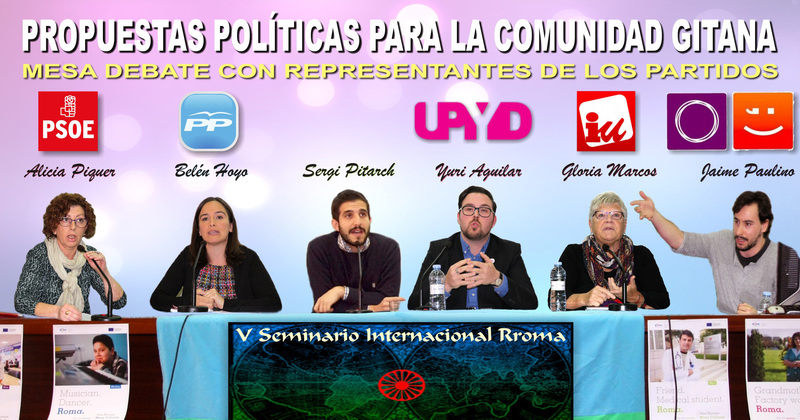 Given the proximity of the general elections and, taking advantage of the framework and the projection of V International Seminar Rroma, we consider the realization of a table-debate with representatives of all political parties was done more necessary than ever. The progressive deterioration in the living conditions of our people, the lack of expectations for our young people and, above all, widespread discouragement to a situation that no one can find the exit, requires a close speech and concrete on the intentions and actions of the competing parties. Except Citizens, the other parties accepted the challenge to expose and discuss with attendees on key issues such as education, employment, health and housing. Areas of action which, in turn, focus the objectives and the commitments made by Spain before the European Commission in its own national strategy of inclusion of the Romani community. 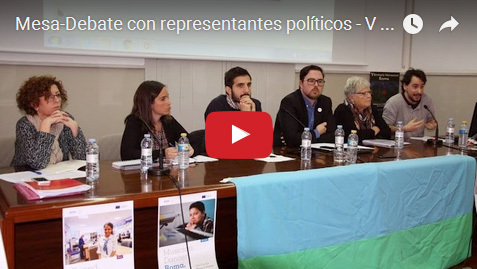 Hoyo Belén represented the Popular Party, Alicia Piquer the PSPV-PSOE, Gloria Marcos the Izquierda Unida, UPyD Yuri Aguilar and Jaime Paulino the Podemos-Compromís. From here I want to thank you for your presence and ... why not say, also for his courage, as they had to cope with the assessments and questions of a very critical capacity. My appreciation also to the representative of the Union of Journalists and head of the policy section Levante-EMV, Sergi Pitarch, for his laudable work as moderator of the debate. 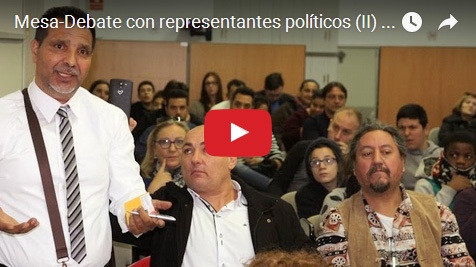 In this first video we witness a round of presentation and overview by each of the political parties. I hope that this debate is useful and encourage everyone to cast their vote on the 20th, but above all, that serves to raise a minimum of hope for the skepticism installed after reiterated legislatures, strategies and unfulfilled promises.